You will be immediately seduced by this all-white wooden wall clock. The rose windows of its wooden face, delicately openwork, show the patterns of the famous Amerindians dreamcatchers. The dimensions of this wooden wall clock are 60 cm in diameter. 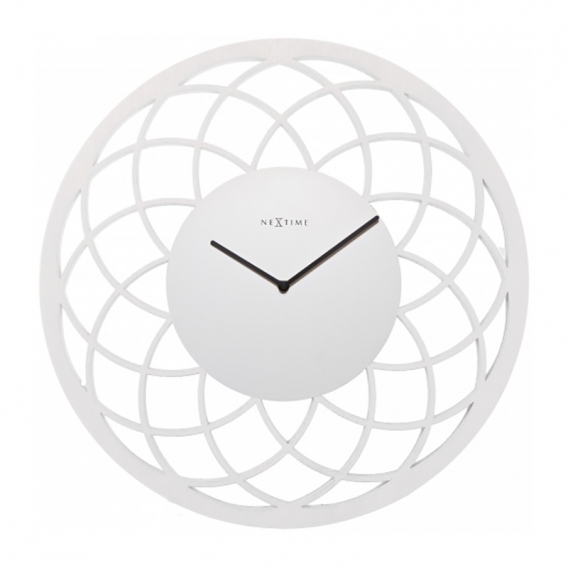 Free 48/72 h delivery in metropolitan France and Belgium for your modern wall clock. Both original and romantic, the large wall clock can be discreet thanks to its entirely painted in white face. Only the black hands standout on the white background for an easier reading. This wooden wall clock is directly inspired from the Amerindians dream catchers, a very trendy and poetic deco pattern. 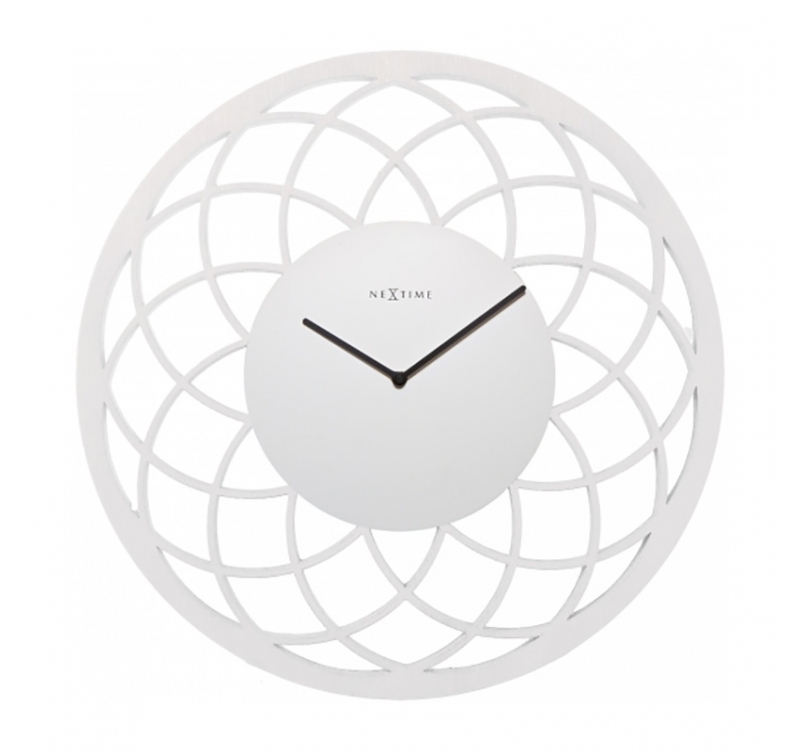 Because of its white colour this large wall clock can match all styles of interior decoration. It particularly suits a young girl’s room or a cocooning lounge. This original wall clock will bring you luck along all the hours of the day and night.